I have been trying to make more things that will make my family smile. I honestly am not a sweets type of person, which means I don’t eat a lot of cake, donuts, brownies, etc.. That also means, I don’t make it but my husband and children enjoy it all! 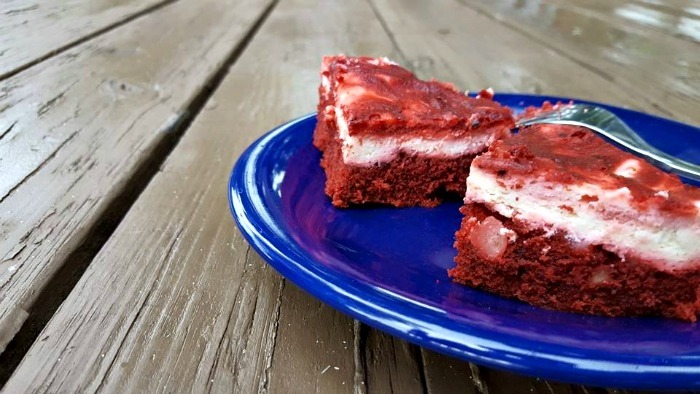 I have decided that I wanted to start making more things that put a smile on my families face and when I saw these red velvet cream cheese brownies – I knew this was the perfect way to start. We actually went to our family reunion a few weeks back and they made the same cakes, but a chocolate version. 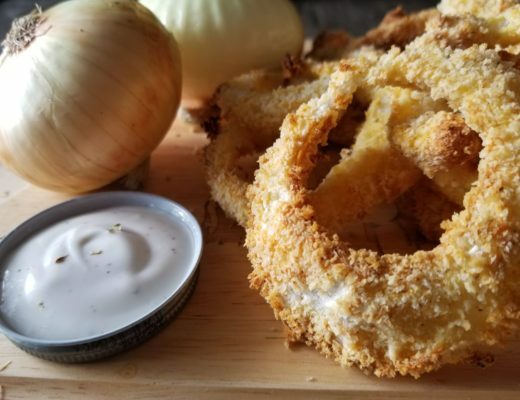 I tasted a bite and noticed how smooth it was in my mouth. Although it was a brownie, it melted in my mouth and tasted good. 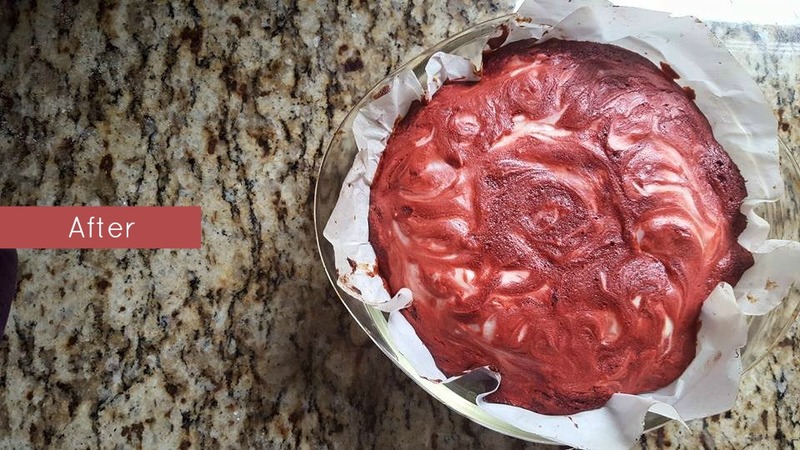 I learned on our family’s Facebook page, that these were originally supposed to be red velvet so I wanted to actually create the same brownies but add nuts. Line an 8×8-inch baking pan with parchment paper and grease it with butter. 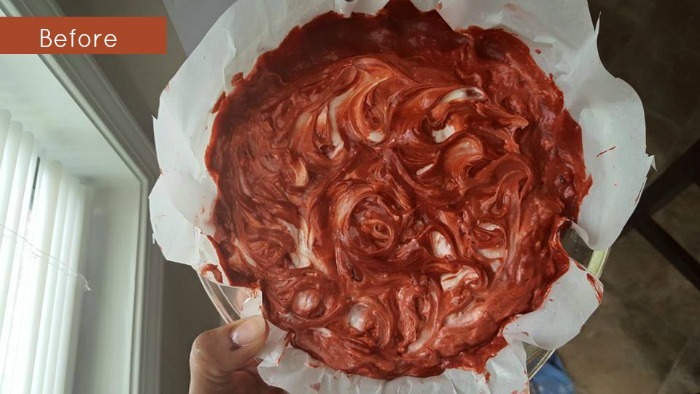 In a large bowl, combine the melted 8 tablespoons butter with the sugar, cocoa powder, vanilla, food coloring and salt, stirring to combine. Then stir in the white vinegar. 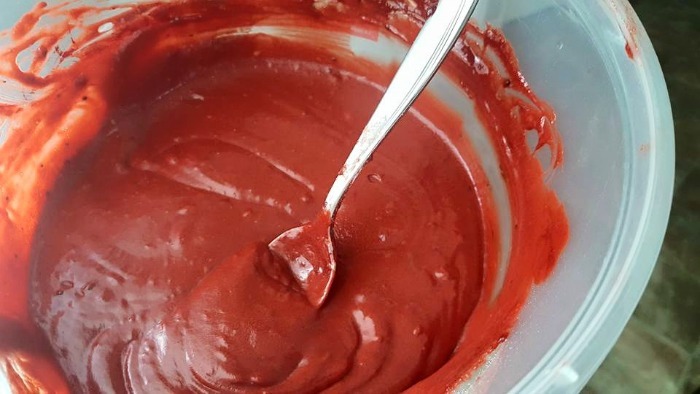 Whisk together the eggs in a small bowl, and then stir them into the brownie batter. Fold in the flour, just until combined, then pour the batter into the prepared pan, reserving 1/4 cup of the batter for the topping. In the bowl of a stand mixer (or using a handheld electric mixer), blend together the cream cheese, sugar, vanilla and egg yolk until well combined. Spread the cream cheese mixture in an even layer over the brownie batter then top the cream cheese with dollops of the remaining brownie batter. 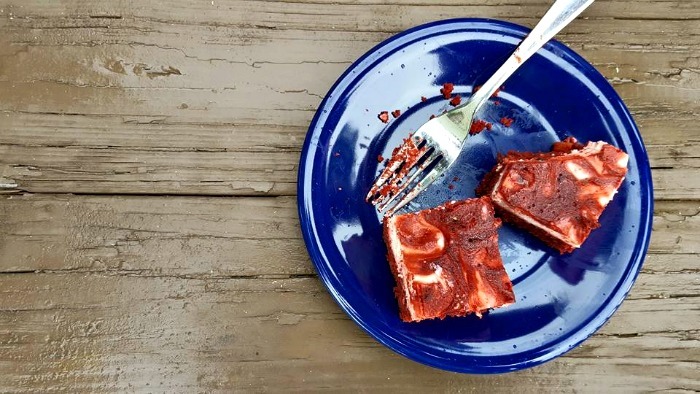 Using a sharp knife or toothpick, swirl the cream cheese together with the dollops of brownie batter. Bake the brownies for 30 minutes. Remove them from the oven and let them cool completely before lifting the parchment out of the pan then slicing and serving. I was so ready to dig in! Apparently, my husband did too because he snuck in the kitchen and took a big chunk out! Hmph! Can you see yourself making this sweet treat for your family (or yourself)? Remember, you can always store them in a plastic container and save them for day 2! They are sometimes better that way!